A newly released report by Auckland Council spells out how different areas in the Auckland region will be affected by climate change and how likely they will be to adapt to the changes. Titled: An assessment of vulnerability to climate change in Auckland, the report was authored by Mario Andres Fernandez and Nancy E. Golubiewski for the Auckland Council’s Research and Evaluation Unit (RIMU). “Planning for climate change impacts is complex. Auckland will face major challenges brought about by coastal inundation, heat stress, precipitation, wind and humidity changes. In addition, Auckland is the economic hub of New Zealand and its linkages with all economic sectors require that it takes the lead on developing responses to climate change." It says such assessments are a key factor in producing climate policies because the research they produce can be used to formulate relevant policy responses. The paper looks at the impact of climate change on particular areas, broken down by their local board boundaries, and their ability to adapt to deal with such changes. The ability for an area to adapt takes into account a number of elements, including socio-economic, demographic and climatic factors. Vulnerability hotspots are those defined as assessed as being likely to suffer from high levels of climate change impact and have low capacities to adapt. Auckland Council Environment and Community Committee chairwoman Penny Hulse says the latest report is being used to create an Auckland Climate Action Plan (ACAP) which is still a work in progress. But she says she hopes to have a draft report by mid-2019, which will then go out for public consultation before the election in October. Hulse says the assessment highlights the fact that some communities will be affected more by climate change than others and their abilities to adapt to it will also vary greatly. Five areas in the report were identified as being highly vulnerable to the effects of climate change and their ability to adapt to the changes was poor. They were Otara West, Point England, Ōtara North, Māngere Station and Wymondley. The report states that almost all the areas in Māngere-Ōtāhuhu Local Board are vulnerability hotspots. It says this is because very high impact occurs in coastal areas. It says the area’s ability to adapt to such change is also very low. It includes Mangere Bridge, Mangere, Otahuhu and Favona. Similar results are also seen in the Maungakiekie-Tāmaki Local Board area, which includes Glen Innes, Point England, Tamaki and Mount Wellington South. Other areas that will feel the effects of climate change include the Orakei Local Board area, some sections of the CBD, including the port and waterfront, and parts of west Auckland, including New Lynn, Henderson and Massey. Hulse says dealing with the effects of climate change won’t be cheap or easy. Hulse says it's important that the council has a co-ordinated approach to dealing with climate change. Hulse says councils were often left picking up the costs as the other parties involved, such as developers, were no longer in business when legal action was taken. She says during the consultation process for the Auckland Council’s Our Water Future strategy it’s been obvious that climate change isn’t something people know a lot about. “It’s clear that this is a big discussion that Aucklanders haven’t had,” Hulse says. But she says public education is vital to addressing climate change. Hulse says she totally agrees with Local Government New Zealand’s calls for the establishment of a National Climate Change Adaptation Fund to deal with the costs of rising sea levels and a Local Government Risk Agency to help councils understand and factor in the risk of climate change into their decision-making. But she says creating a political stoush between central and local government won’t address the real problem - climate change. She says she’s sick of hearing people questioning the validity of climate change. Local Government New Zealand (LGNZ) released a report in late January titled Vulnerable: The quantum of local government infrastructure exposed to sea level rise. It looks at the cost to councils from rising sea levels and says up to $14 billion of local government infrastructure is at risk. The report calls on central government to urgently develop policies to help minimise the impact of climate change on New Zealand communities. The LGNZ report calls for the establishment of a National Climate Change Adaptation Fund to deal with the costs of rising sea levels and a Local Government Risk Agency to help councils understand and factor in the risk of climate change into their planning and decision-making. President Dave Cull said many councils were already experiencing the impact of rising sea levels, most notably in the Bay of Plenty, West Coast, South Dunedin and Hawke’s Bay. Cull said central government had been dragging the chain for too long on the issue and it was now time for government to act. But this should be paralleled by questioning 'funding' if Fossil Fuels are divested, and the extent of mitigation possible in their absence. 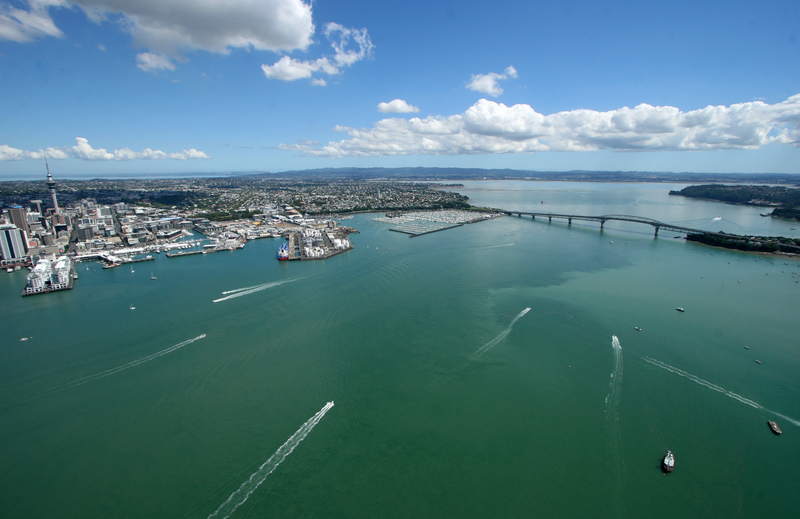 We live in interesting times - thanks for the article. .
"Auckland will face major challenges brought about by coastal inundation, heat stress, precipitation, wind and humidity changes". No detail whatsoever. Just Climate Change!!!!! Climate Change!!!! a dozen times. They had to change the name (from the original Global Warming) to Climate Change because of a series of blisteringly cold winters. So now the name conveniently covers all bases. The problem is that I continually find hard evidence debunking situations that we are told to fear unquestionably. Oh, and check it for yourself - but the effect of the Sun on our planet is nowhere to be seen in the Climate Change Charter. Strange that! So, who wrote the charter? Maurice Strong, employee of the Rockefeller banking dynasty. So no goodie, goodie, intention there to be sure. Here's all the detail you need to know. "the establishment of a National Climate Change Adaptation Fund to deal with the costs of rising sea levels"
Whats this? Or where, be interested in the details. As Pathos noted no details whatsoever. "already experiencing the impact of rising sea levels, most notably in the Bay of Plenty, "
It took me a while to sort out some semblance of facts via the related links, the papers that have the information have no live links, one has to search to find anything resembling data. The actual data is seriously buried, maybe intentionally so. There are three different levels of sea level rise used to generate to costs. The largest one, which has the $11B estimate attached to it, would take several hundred years to achieve (or more, possibly less,depending on how you interpret the very short term SLR data). Asking for immediate action on something that is hundreds of year in the future? There are serious issues that are facing humanity in the near future. SLR is a pimple on the rear of the serious issues. Over-reliance on non-sustainable fuel sources, increasing population, increasing divisions amongst the population groups, large-scale changes to the eco-system, there are far more serious issues to be addressed than SLR. No, the name was changed to Climate Change because some snowflake held a snowball up as evidence there was no Global Warming. Climate Change incorporates speed of change, human impact, increased heat retention & moisture in the atmosphere and the resulting increase in storms and 'wild weather'. Until you convince 97% of scientists that the sun has more or fewer sunspots and this causes rapid changes to our climate, I'm going to follow the hypothesis set down around the "greenhouse effect" and the obvious impact of CO2 on Venus. Ahhhh the now thoroughly debunked 97% consensus lie. You're a few years behind the times, and clearly among the brainwashed. I am a firm climate change worrier. But skimming the article in today's Herald didn't give me much to worry about. In summary it asserts Auckland will have weather rather like Brisbane. Doesn't sound like a disaster; my daughter enjoyed living in Brisbane for a couple of years. There are Auckland issues with sea level and sewers but very minor compared to the plan for another half million inhabitants. If it really gets bad I'll move to the South Island. Seriously the reason to fear climate change is the international politics - where will the hundreds of milions of people living on low lying fertile soil go? Nile delta is 40m and the same for Bangladesh and I'm guessing the Mekong. It will only take a few centimetres of sea level rise to make their soils salty and infertile. PowerDownKiwi makes a far more worrying case which has climate change a mere minor aspect of resource consumption and ecological catastrophe. And compared to this fellow - one of my favourite deep and original thinkers - I'm an optimist. I had not come across him before,but I will read his stuff from now on. I think humanity will get through this,but at considerable cost-financially of course,but the social disruption will be greater. The energy problem may well be greater than the climate problem. However,as we move closer to Seneca's cliff,I am convinced that there will be a resurgence of fossil fuel extraction and exploration-anything to prolong our way of life-whatever the long-term costs may be. At 74,I doubt if this will significantly affect me,but I do worry about my 4 grandchildren,all under 10. Around the world tidal gauge data, when corrected for land subsidence, shows rates of sea level rise in the range 1-2mm per year. There is no sign of any sea level rise acceleration in that data, in many cases the 50-year trends were higher in 20th century than now. After the dominant effect of thermal expansion of sea level s extracted the Icecap melt contribution is much much less than 1mm year. That is the big scary monster we are supposed to be afraid of and moving heaven and earth and destroying economies in an attempt to slow. Never mind that it is basically constant since the 19th century before CO2 increases. Find a real scare to sell, this one is worn out and increasingly discredited. I would recommend Bill McKibben's"the end of nature" (1989), for those thinking the prediction of more severe cold snaps as a recent addition to suit the Global warming "conspiracy". As far as I'm aware , climate scientists have always warned of more cold snaps as a consequence of increased Co2.But the overall trend is accelerated warming , and it is important to distinguish between Climate and weather. @ Foiled. Try telling that to the people in Thames whom are among the first in NZ to experience the effects of rising sea levels. Our local Grey Power branch has been asked by locals to set up a support group ready for the next emergency. It seems Civil Defense did not meet their needs in the Jan 2018 storm.. The problem with anectdote vs data and science. Human memories are short and we always process infrequent events with our emotions rather than our intellects. The storm surge in Thames was almost nothing to do with long term sea level rise (about 100-200 mm in last century) and everything to do with a strong wind from a northerly direction. 1-2mm of yearly sea level change is less than the average for the last 5-6000 years with excursions of up to 2-3m over 1000 year periods and about 20m of cumulative up and down long term sea level change. Humans just have a very short timescale for observation. Given South Auckland suffered a 7 Richter scale earthquake in 1835 it has more to worry about than the runaway global warming hypothesis. Until I see the liberal hypocrites give up their flights and SUV's my care factor care factor is anchored at zero.